- Punch Newspaper, 8th April, 2015. A couple of weeks ago, a friend of mine mentioned that there are a number of schools in Nigeria who insist that the school fees of wards/students should be paid in dollars, there are also several property merchants especially on the Lagos Island who insist that rents should also be paid in dollars. No matter how cool this might sound, it’s an act that has negative consequences for the Nigerian Naira and in extension the Nigerian economy. 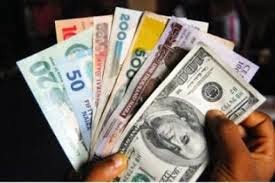 Though the directive comes strongly form the CBN due its bid to regulate the current dollar price, it should be noted that by virtue of the 2007 CBN Act, it is actually a crime as the law provides that any person who refuses to accept the Naira as a means of payment is guilty of an offence and liable on conviction to a fine of N50,000 or 6 months imprisonment. What about people that share dollars though?